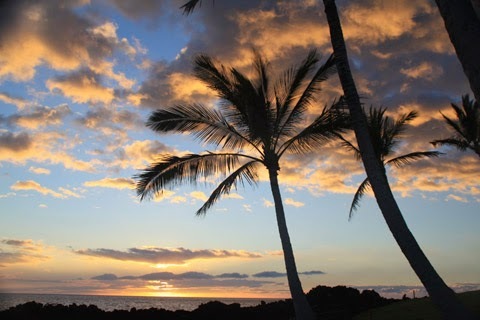 A tropical paradise awaited my first visit to the Big Island of Hawaii. 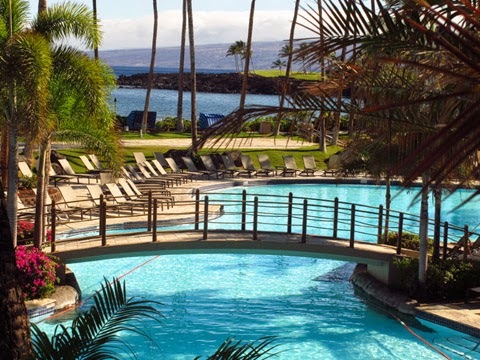 We had booked a five-night stay at the Hilton Waikoloa Village, and after canceled and delayed flights on the front end, managed to get there for four of those nights. Although we arrived after dark, I immediately knew this resort was special, and we would have a magnificent Hawaiian holiday after all. Hotel accommodations are spread throughout the 63-acre resort. Located on the dry side of the island, volcanic activity is evident as soon as you leave the airport. A two-lane highway is bordered by black lava and jagged boulders. People have created a form of graffiti using small white rocks placed on the black lava to spell out names and dates. 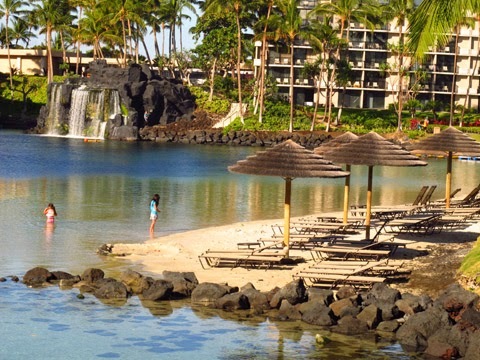 Once we entered the 63-acre resort, the landscape metamorphosed into brilliant gardens, swaying palm trees, and lovely ocean views—the quintessential Hawaiian vista. Resort amenities include five swimming pools, dozens of water features including fountains and bridges, dolphin pool, and gorgeous landscaping everywhere. You’ll get plenty of exercise walking on paved paths, but a shuttle train will also transport visitors around the property. Magnificent statues and artwork filled all areas of the resort. I especially enjoyed art pieces, many with an Asian influence, that decoraed long hallways. A variety of colorful (and sometimes squawking) birds added to the tropical ambience. 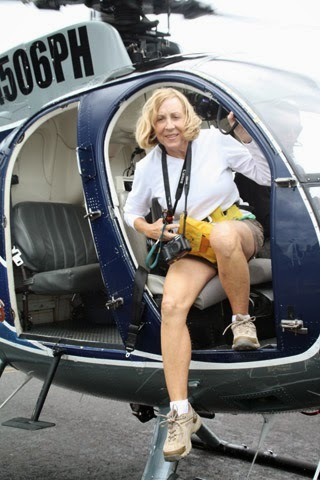 Take a helicopter ride to see lava fields. Guests can dine at a variety of restaurants, from casual to upscale. A favorite was the Malolo Grill where we enjoyed dinner on a back patio by the light of table-side torches. A walk in the moonlight capped the romantic evening. Sunset viewed with an appetizer of wine and cheese at Budda Point near the Ocean View Tower was another perfect moment. Most mornings we ate breakfast on our balcony; since our room was in the Ocean View Tower soothing rhythms of the ocean provided a relaxing start the day. 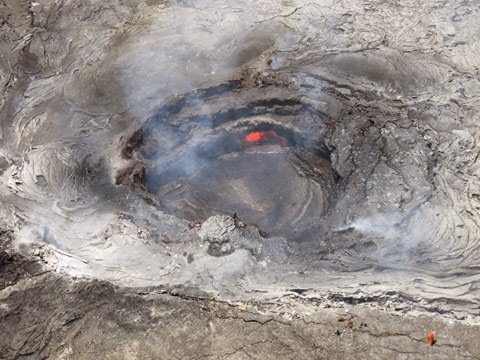 Our excursions included an exciting full-day tour to Hawaii Volcanoes National Park. Another day we drove to Hilo, on the lush, wet side of the island, for an open-door helicopter tour of the lava fields, a visit to Akaka Falls State Park, ziplining excursion with Skyline Eco Adventures, and a stop at Laupahoehoe Point Park for awesome views of waves crashing against the rugged shore. 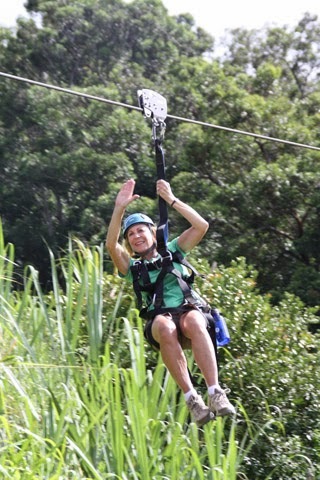 Zip line near Hilo on the lush, humid side. Golf at the Beach Course was fun but challenging because of a strong—but normal—wind. Beautiful views of the ocean made up for gusts blowing hair across my face. One of the most spectacular sights on the Big Island is Waipio Lookout at Kukuihaele Park, about an hour north of the resort. The first evening we stopped there a huge cloud bank obscured the wavy coastline. 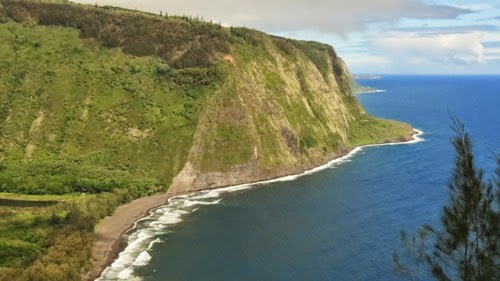 Returning on a clear day we were rewarded with outstanding views of the coast and Waipio Valley. Then we headed south to the busy tourist town of Kona, a great place for a seafood lunch, walking along the shore, and shopping. I was struck by the huge contrast of drab, brown landscape on the drive there and the deep blue saturation of the ocean. We ventured out to Kahauu Beach near Keauhou Bay, south of Kona and waded in the rock-studded water. 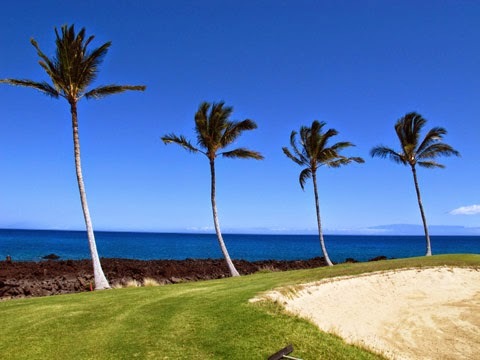 Beach golf course overlooks the ocean. Too soon it was time to leave the Big Island. But our next stop was Kauai, another perfect example of Hawaiian paradise.